Moto X should be one of the most hotly-demanded smartphones on the planet. But Motorola lacks Apple’s skill cultivating core groups of bloggers and journalists who swoon ecstatically and influence others to do the same. For example, I thought Stephen Fry’s outrageously over-the-top adjective-rich iPhone 6 review was hilarious until reading The Register’s parody, which is almost believably genuine. Motorola bets on voice interaction over touch, making Moto X more like a device from Star Trek than the early 21st Century. Touch is oh-so 1980s—what Apple pitched with the Macintosh 30 years ago—whereas touchless is the next big thing. For people queuing up for iPhone 6 on September 19, welcome to the past. 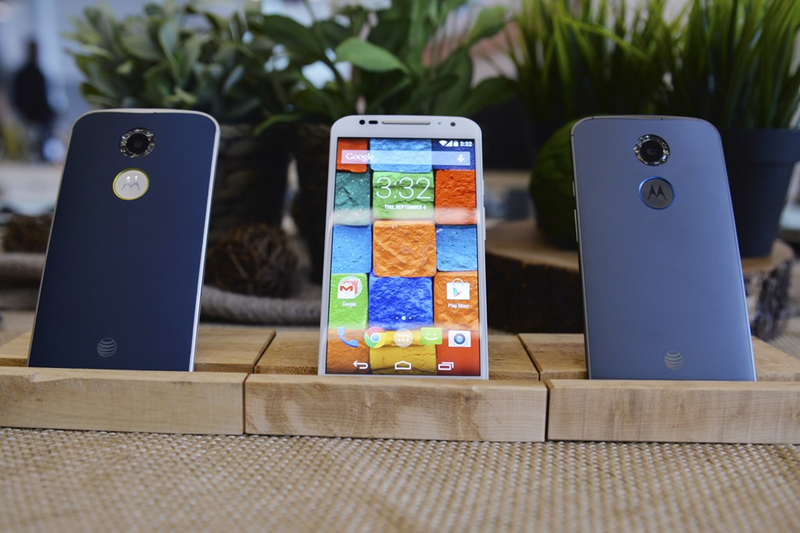 You should consider second version Moto X, which is available for preorder, if reaching to the future. Yesterday I explained how “balance” is iPhone 6’s defining characteristic and benefit. Achieving such feat requires prioritizing some features over others that seemingly put the device behind some competitors. Moto X is another example, where the original (which I tested) puts voice response and long battery life before screen size (4.7 inches), screen resolution (720p), and microprocessor (dual-core) at a time when other Androids offer so much more. The original Moto X fails all the comparative Android smartphone spec tests, but proves in real world usage to be speedy and responsive. That’s balance in action. The newer model (which I haven’t tested) promises better specs while keeping to the core philosophy of benefits before features. Touchless interaction ranks high among them. Sometimes the past interferes with the future and progress reaching it. There, Apple’s current design philosophy distracts from something better. iPhone’s popularity, and the enormous influence of star-struck blogger and journalist reviewers, shifts away attention for something that could fundamentally transform how everyone uses personal devices like smartphones. Undeniably, Apple is the leading computing humanization designer. The original iPhone’s multitouch screen and sensors dramatically changed how people interact with cellular phones, making them more human and responsive. Humanization by touch isn’t a new concept to Apple. During iPhone 6’s launch, CEO Tim Cook referred to three groundbreaking user interfaces—all share touch as common concepts. For example, from 1984 Mac marketing: “If you can point, you can use Macintosh, too”. Early iPhone marketing: “Control everything on iPhone with a tap, a flick, or a pinch of your fingers”. The concepts are similar—humanization of design by making the product extension of you. The original iPhone is a stunning achievement in the annals of technology, mainly because of its responsive, human-like qualities. However, Apple’s “finger first” design philosophy looks much the same in 2014 as 1984. The company is attached to touch, and why not? The iPhone is hugely successful built around touchscreen interaction. But the user motif is in the early stages of disruption. Voice can do even more to humanize tech products. Like Star Trek, you command actions and ask for answers, rather than point with finger or click with mouse. Apple understands the concept, or there wouldn’t be Siri. But iPhone 6 doesn’t listen for you, perk up to your speech, and respond to your questions or commands so aptly—all capabilities Moto X delivers. The newest iPhones demonstrate that Apple, like Nokia during late-last decade, can’t break free from older design ethics. For the then-Finnish phone maker, the keyboard and its success selling feature phones, hobbled early efforts with touchscreens. I expect iPhone 6 and sibling 6 Plus to be hugely popular devices, while Moto X lumbers carried along by a minority of users who understand the liberating power of voice and touchless interaction. Apple Watch promises the latter, but it’s a product coming in the future, rather than one that brings the future here and now. Moto X deserves more respect. Instead we get Stephen Fry, claiming that the new iPhones are “utterly gorgeous objects in the hand and to the eye. They are released with the superb iOS 8—an operating system leap forward for the iPhone and iPad, blessedly backwardly compatible all the way down to the 4S”. Is that a leap forward, or leap back? Someone hand me Moto X, and we can ask.